Many people who need to undergo an orthodontic adjustment assume the only way forward is with metal braces. While these braces can make terrific changes to the position of your teeth, you may be worried about how they affect your appearance, and your daily life. After all, they are present on your teeth when you attempt to brush and floss, and can make eating certain foods difficult. You may also be put off by how conspicuous they can be when you smile. If you qualify for them, clear braces can offer a discreet, less invasive means of making orthodontic changes. Rather than use brackets and wires, clear braces provide an adjustment through the use of clear plastic aligners custom-made to fix your alignment and spacing issues. Through the use of Invisalign or ClearCorrect clear aligners, you can make big changes to your smile. Impressions of your teeth will be taken, in order to plan your custom treatment. 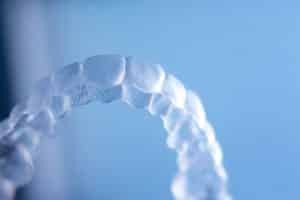 You will have a sequence of aligners provided to you, with each set bringing you closer to the final changes you are hoping to see. This can help patients who have always been bothered by certain alignment or spacing issues, as well as those who have seen their teeth shift after previous orthodontic work. Your dentist can help you enjoy your healthiest smile, but expert cosmetic dental care can also be provided to help you enjoy your most attractive smile, too! If you would like to learn more about cosmetic work, and how it could help improve your appearance, set a time to come in for a consultation to learn more. If you want to do something about bothersome dental alignment or spacing flaws, but hope to avoid using metal braces, talk to Dr. Young about undergoing care with clear aligners. Michael J. Young, DDS, and his skilled team of oral health care professionals are happy to provide expert care to patients and their families from Breaux Bridge, Broussard, Scott, Youngsville, and surrounding areas. To learn more, contact us today at our Lafayette, LA, dentist’s office at 337-237-6453.